OEM International AB is a Swedish company that offers an extensive and detailed range of industrial components and systems from leading suppliers. OEM International AB uses inRiver PIM as the backbone for all the product information for their extensive product range, feeding over 15 websites with product information, printing catalogs in 14 languages and expanding its e-commerce. One of OEM’s strongest competitive advantages lies in their deep knowledge of manufacturers, technically advanced components, and how to combine them in the best possible way. With inRiver, OEM has created their “information goldmine”, from which knowledge is shared to win both contracts and the trust of their customers. 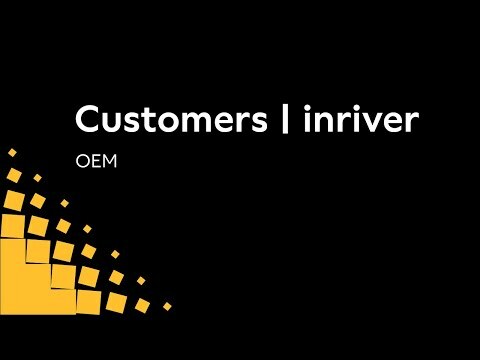 In this customer testimonial, Marketing and Communications Director Sven Rydell, shares his story of how inRiver has contributed to the success of OEM.